This is quick walkthrough to showcase how you could build powerful reports from Project Server data online, in a jiffy. I am using the Project Online Subscription from Office 365. However, this should work with your on-premise Project Server 2013 setup as well. So no worries…Interestingly this technique can be extended to any other data source…let’s say getting all your bug reports from Team Foundation Server to Excel, getting the Northwind Products table from an OData source online etc. Not able to get here? Navigate to your “pwa” home page (http://servername/sites/pwa) and click on “Reports” in the left navigation. 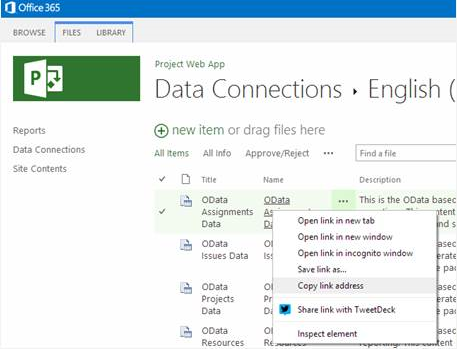 It will take you to the ProjectBICenter site with the URL as (/ProjectBICenter/Pages/Default.aspx). 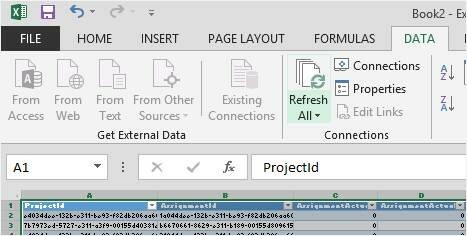 Then click on “Reports” link on the left navigation in the ProjectBICenter site. You should reach the above place. 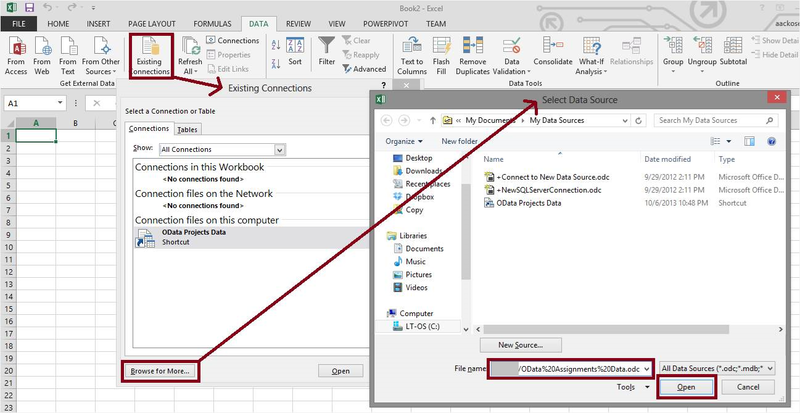 Step 2: Open new Excel Workbook and select “Existing Connections” from “Data” ribbonClick “Browse for More” button at the bottom left corner paste the above copied URL in the “Filename” section and press Open. 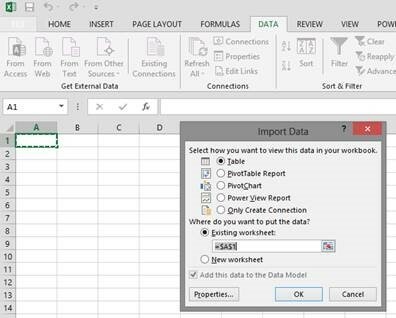 Final Outcome: Entire Project Online data is available to you in excel for data crunching. Also, data is constantly in sync with online. Well you got through the hard part now…rest all i probably would leave to a good excel data cruncher to build charts, pivots, power views, KPIs and other dashboards out of this rich data. 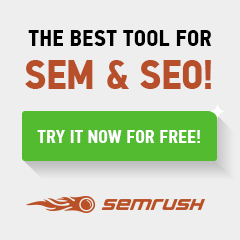 In the upcoming posts, i shall show you how to display this on your Project Site in a webpart. Feel free to post your comments, if you need any assistance. a result of the fire displayed in the post I read. of these responses come across as if they are left by brain dead visitors? the same RSS issues? Anybody who knows the answer will you kindly respond?